Exodus is one of the best Kodi add-ons for users who love watching movies and TV Shows and lots more. All this can be filtered based on specific genres you enjoy. The steps in this tutorial work for Kodi devices such as PC, Amazon Fire TV Stick / Nvidia Shield, Android, and plenty of other devices that Kodi supports. Update: Exodus V8 is not currently functioning correctly, but, Exodus Redux is working perfectly. 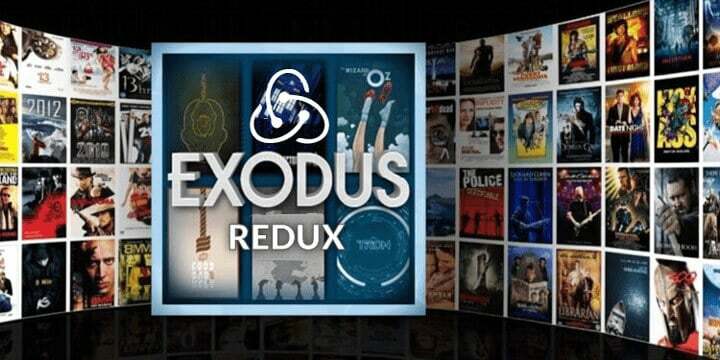 Now you know Exodus Redux is working, let’s start with the steps to put Exodus on Kodi. Here we will show how to get Exodus on Kodi. 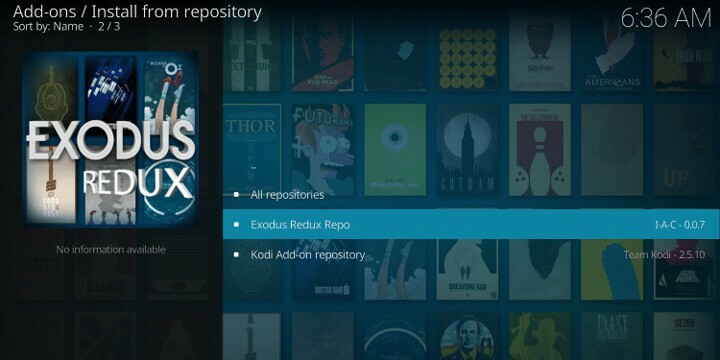 The following guide shows how to download exodus on Kodi 18.0 Leia and Kodi Krypton 17.6. If running Kodi Jarvis or a lower version, you can follow this guide to update Kodi to the latest version. 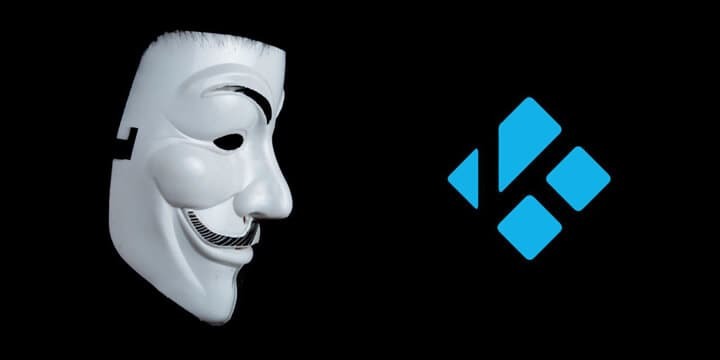 By default, Kodi will block the installation of third-party Kodi add-ons like Exodus Redux. On the Kodi home-screen, open the Settings option, this is in the top-left, and underneath the Kodi logo. Select ‘Add-ons’ on the left sidebar. On the right of your screen, you’ll see ‘Unknown Sources.’ Toggle the switch to ‘ON’ and enable third-party add-on installation. Now third-party sources have been enabled, we can install Exodus on Kodi. Click the Settings gear icon on top-left of your screen. Click “None” and enter this URL exactly – http://lazykodi.com/ and name the source “Lazykodi” in the name field. Click the “Package Installer” on the top-left of the screen. Wait for the success notification box to pop-up on the right of the display. Click “Install from Repository” and select “Kodi Bae Repository.”Note: The next two steps are additional. Many users are having the Indigo Exodus plugin dependency error when installing Exodus 8.0. Hence, it is better to install TVAddons repository to prevent this error. Navigate back to the Kodi Bae Repository and Open the “Video Add-ons” folder. Click “Install” to finish the Exodus installation. Note: If installing Exodus on Kodi 18.1 / 18.0, you will encounter the following prompt after clicking Install. This prompt shows additional add-ons that will be installed with Exodus add-on. Wait for the Exodus Kodi add-on to download and install from Kodi Bae Repo. Once you see the success notification, you have installed all you need. When installing Exodus, you might have a couple of Kodi, not working issues. This error is when a Kodi user tries to install the Exodus Kodi add-on from a repository that doesn’t have an updated Exodus version. Failed to Install Dependency errors can also occur when repos are being updated. First, you need to consider repos that immediately update Exodus add-on, such as Kodil Repository. If you still see the error, it means the Kodil Repo is being updated. Wait a few hours before trying to install. This ‘Could not connect to a repository’ error appears because of the wrong repo being inserted (typo error) This can also happen when the repo URL isn’t working. Double check on the repo URL is correct, and make sure there is an ending slash (/). If this error is still there, check the internet connection. If it still doesn’t work, then the repository URL isn’t working. Check the URL, add source Kodi URL into a browser. If it opens, the repository URL is working. It is time to clear your Kodi cache. This helps with streaming Kodi content and buffering issues. Go to Add-ons – My add-ons – Video add-ons. Select Exodus, and you’ll see a menu at the bottom. Click the Update button, and follow steps to install the updates. Select Exodus, and you will see a menu at the bottom. Click the Uninstall button, and follow steps to uninstall. As mentioned at the start of the guide, about enabling allow third-party add-ons in Kodi. There is a vast majority that doesn’t contain content which is 100% legal. With add-ons, it can be easy for add-ons to deliver illegal content. Because most ISP’s are requested to retain your data for extended periods, they see everything you do on Kodi. Aside to this, there are some sources which still have geo-blocked content due to geographic regions. A lot of the streams from Exodus can be based in these regions. Everything users stream is visible to ISP’s, and for this reason, every user is advised to make full use of a VPN service. Although there are plenty on the internet, there are a few things you need to consider. Streaming consumes high amounts of bandwidth and data usage if using Kodi frequently. A top VPN service allows unlimited data with no concern of what users are streaming. Additionally, New Zealand is remote, so any VPN provider needs lots of global server locations to make sure the region and download speeds are fast. To narrow down your VPN provider options, there is where the virtual private network services are located. Many providers are found in the 5-eyes/ 14-eyes jurisdiction countries. These areas can demand user data be handed over. This restricts the VPN providers you can choose from. One VPN provider stands out and is a regular favourite for Kodi users. It offers the fastest speeds while making sure your streaming habits are kept secret. This is located outside any 5-eyes jurisdiction. 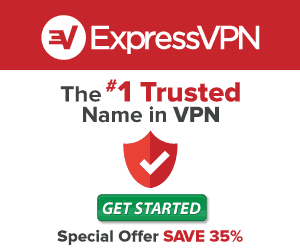 Express VPN is not just the best option when you delve into all VPN’s features and global coverage, it is the only option for Kodi in New Zealand.